Are you giving up on your dream to go to university abroad with these thoughts? There are many misconceptions surrounding the application process, enrollment standards, and associated costs of an international education, when in fact, the process is straightforward, the range of potential high-level institutions are vast, and the possibility of a merit or means based financial scholarship is very realistic. It is completely possible for you to receive a scholarship and study internationally, even if you don’t already have the best scores or have experiences abroad. Your first step towards realizing your ambition of becoming a global citizen starts with talking to our teachers individually. Please sign up for our FREE FIRST TRIAL by contacting AO-GIJUKU from the link https://aogijuku.com/contact. BROADEN YOUR HORIZON with this unique course, expand your perspective, and let your dreams come true. We look forward to meeting you! International application requirements, deadlines, and processes differ from one school to the other. That is why HORIZON focuses on one-on-one teaching, designed to fit every student’s individual needs and goals. HORIZON teachers are committed to bringing out the very best in every student and supporting the expression of his or her originality. In the summer, we are planning on holding special motivational events by inviting guest teachers from prominent schools abroad like the Ivy League. Well experienced counselors will assist the students in finding colleges that they feel intrigued by and deciding which ones to apply to. The students will then make a college list, which will include SAFETY (2~4 schools below the student’s current standing), TARGET (2~4 schools that fit the student’s current standing), and REACH (2~4 schools that are above the student’s current standing). If needed, scholarship need will be put into consideration when making the list. HORIZON focuses on customized learning that fits each student’s needs and goals. By not having a scheduled class time or specific class curriculum, we are able to provide a flexible system in which the students get to choose when and what they would like assistance on. Students are able to use AO-Gijuku’s exclusive program, English Rise Up, where the they are guaranteed to get a score of 80 and up (if not, tuition back guarantee on certain conditions). However, if needed, there are HORIZON teachers available for one-on-one TOEFLiBT (or IELTS) support. 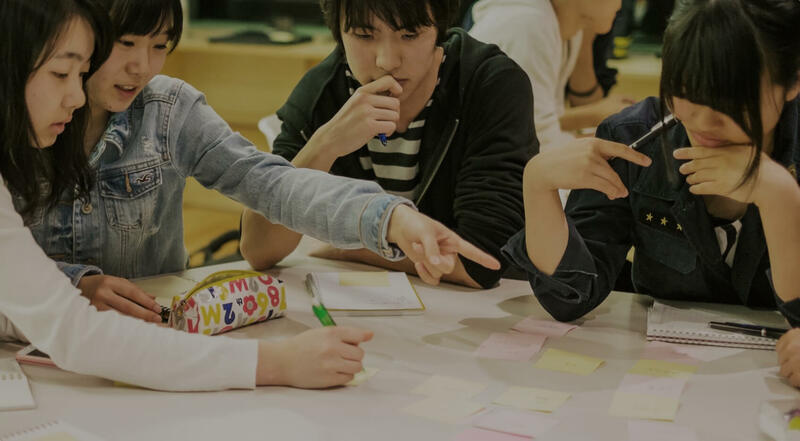 Making full use of AO-Gijuku’s vast resources on Japanese AO (Admission Office) applications, there are support systems available for students who want to gain acceptance from both Japanese and international universities. Most American universities accept applications through an online platform called the Common Application. Setting up the Common App and filling out all of its requirements can be confusing to some, but our experienced teachers will be there to answer all questions and help students make it the best as it can be. International universities usually place great emphasis on the essay portion of the application, which allows students to express themselves freely. HORIZON will encourage creativity and personal expression by holding collective essay writing classes taught by essay specialists, and by providing an exclusive textbooks that hold information that can be found nowhere else. Currently enrolled international university students will be available online to give feedback at any time. In the case that there is an interview component to the application, HORIZON will offer communication classes, English speaking practices, and mock interviews to help prepare the students in the best shape that they can be.